Twitter is now interviewing a series of well-known media players for its board, as the San Francisco online social communications service seeks to increase its ties to the entertainment industry, according to sources close to the situation. And one of the top director candidates is well-regarded Hollywood exec Peter Chernin, said several sources. But, unlike many media execs, he has also focused on garnering much deeper digital experience. 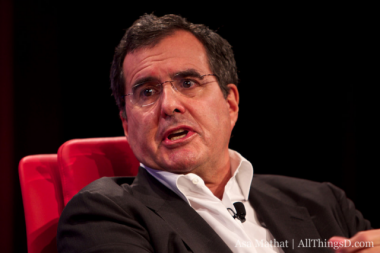 Chernin was key to the formation of the Hulu premium online service, for example, and is also a board member of the Pandora streaming music service. He has also been making digital and media investments in Asia. Sources said Chernin has not decided if he even wants such a board seat, and Twitter management is still only in the early stages of its board effort, presumably to replace Flipboard’s Mike McCue. The entrepreneur left the board earlier this year, after it was clear that his social media app and Twitter were on a collision course (or an acquisition one, depending how you looked at it). But the addition of a media-savvy director — or even two — also makes sense in the context of the past year of Twitter’s evolution. The brainchild of Jack Dorsey, Evan Williams and Biz Stone, Twitter first began as a microblogging social network. While it did attract a lot of attention due to its celebrity tweeters — such as actor Ashton Kutcher and famebot Kim Kardashian — the management and board of Twitter is largely tech-centric in experience. But, more recently, the service has taken its shape as a consumption-based media company, where some 40 percent of its user base read and consume content rather than create it. That is to say, they watch, but they don’t tweet. Such a strategic direction is a natural extension for bringing in more advertising spending from outside partners, especially big media companies that have both the eyeballs and dollars that the company is hoping to attract. Twitter is now commonly used throughout the media space in a variety of roles, from branding to audience-gauging, and also sometimes even as a plot device. A Twitter spokesman declined to comment on any effort to bring in new directors; Chernin has not yet responded to a query for comment.